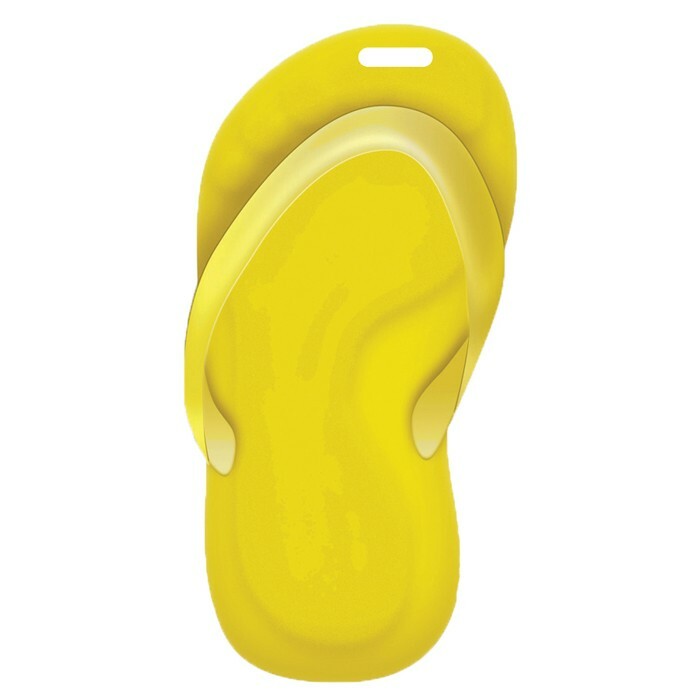 The Sandal background theme is included in the price. The reverse side of these tags have an imprinted identification panel for writing your name and address information. 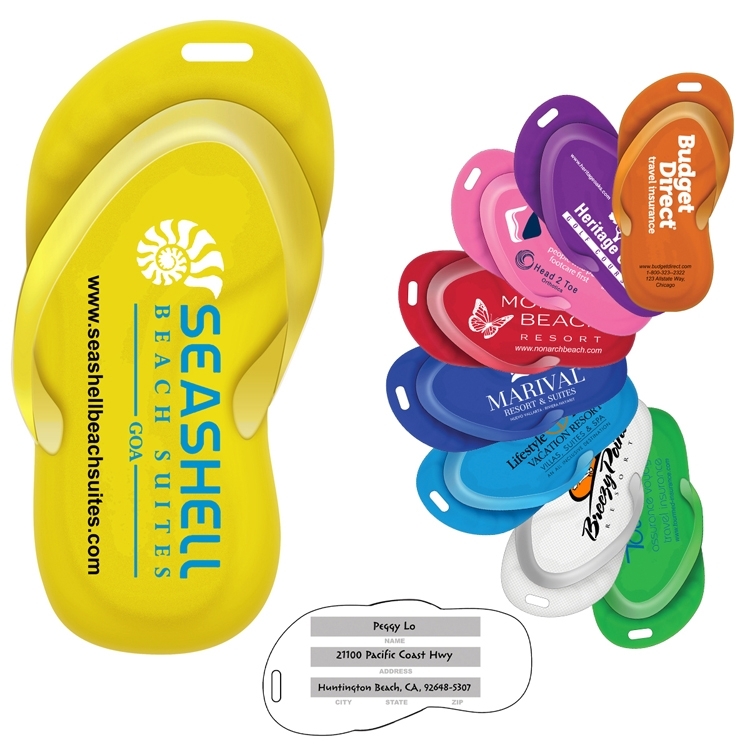 Sandal graphics can be printed other colors on request. One Time PhotoImage ® Full Color Imprint Setup Charge: $55.00 (G) for up to Full Color Imprint. Price Includes: Any number of imprint colors over the stock background image. All tags have a Write-On ID Panel on the back. #Packaging: BS2 Black Buckle Strap included in price unless other color specified. Tags and straps bulk packed separately. Polybagging add $0.10(G) per unit; to attach strap, add $0.08(G); Add 3 days to production. Speculative Sample: $45.00 (G), plus setup charges, cost of the item, and cost of any additional color per unit running charges and freight charges. Production Time: 5 Days. Made from Post-Industrial Recycled Styrene Plastic Material. Made in the USA. Please note: Small shifting of imprint cannot be avoided when imprinting. As each product is manufactured and printed individually, up to 3/16” movement in logo alignment may occur. Luggage tags are intended for individual use and cannot be compared one to another.